You'd better stand up for this bit of news. Sitting can wreak havoc on your health, and not just in the form of minor aches and pains. Recent studies show that too much sitting contributes to a host of diseases—from obesity and diabetes to cancer and depression. The typical seated office worker suffers from more musculoskeletal injuries than those workers who do daily manual labor. It turns out that sitting is as much an occupational risk as is lifting heavy weights on the job. The facts are in: sitting literally shortens your life. Your chair is your enemy, and it is murdering your body. In this groundbreaking new book, Dr. Kelly Starrett—renowned physical therapist and author of the New York Times and Wall Street Journal bestseller Becoming a Supple Leopard—unveils a detailed battle plan for surviving our chair-centric society. 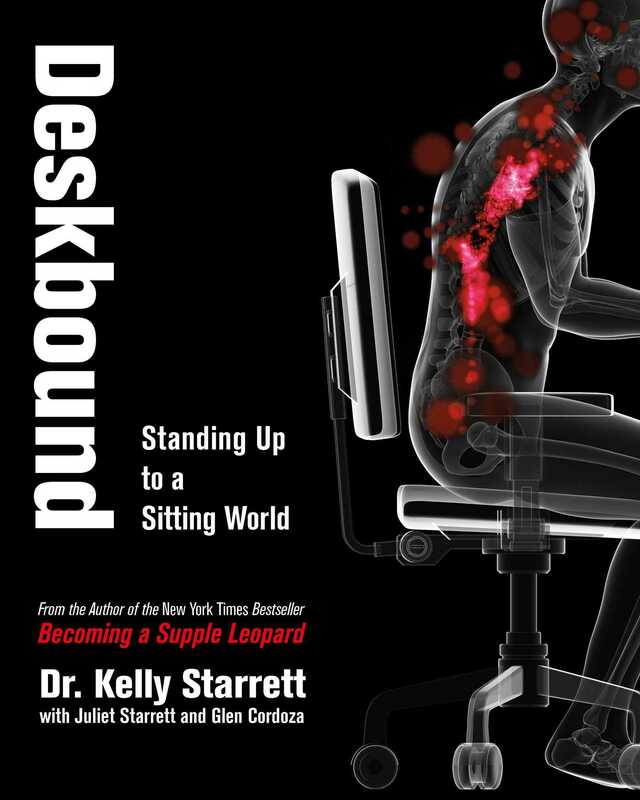 Deskbound provides creative solutions for reducing the amount of time you spend perched on your backside, as well as strategies for transforming your desk into a dynamic, active workstation that can improve your life. Whether your goal is to maximize your performance in or out of the workplace, lose weight, or simply live pain-free, Deskbound will work for you. It is a revolutionary cure for death-by-desk.